Newark (/ˈnjuːərk/, locally /njʊərk/) is the most populous city in the U.S. state of New Jersey and the seat of Essex County. As one of the nation’s major air, shipping, and rail hubs, the city had a population of 285,154 in 2017, making it the nation’s 70th-most populous municipality, after being ranked 63rd in the nation in 2000. Settled in 1666 by Puritans from New Haven Colony, Newark is one of the oldest cities in the United States. Its location at the mouth of the Passaic River (where it flows into Newark Bay) has made the city’s waterfront an integral part of the Port of New York and New Jersey. Today, Port Newark–Elizabeth is the primary container shipping terminal of the busiest seaport on the American East Coast. In addition, Newark Liberty International Airport was the first municipal commercial airport in the United States, and today is one of its busiest. Several leading companies have their headquarters in Newark, including Prudential, PSEG, Panasonic Corporation of North America, Audible.com, IDT Corporation, and Manischewitz. A number of important higher education institutions are also in the city, including the Newark campus of Rutgers University (which includes law and medical schools and the Rutgers Institute of Jazz Studies); the New Jersey Institute of Technology; and Seton Hall University’s law school. The U.S. District Court for the District of New Jersey sits in the city as well. Local cultural venues include the New Jersey Performing Arts Center, Newark Symphony Hall, the Prudential Center and the Newark Museum. Newark is divided into five political wards (the East, West, South, North and Central wards) and contains neighborhoods ranging in character from bustling urban districts to quiet suburban enclaves. Newark’s Branch Brook Park is the oldest county park in the United States and is home to the nation’s largest collection of cherry blossom trees, numbering over 5,000. Newark was settled in 1666 by Connecticut Puritans led by Robert Treat from the New Haven Colony. It was conceived as a theocratic assembly of the faithful, though this did not last for long as new settlers came with different ideas. On October 31, 1693, it was organized as a New Jersey township based on the Newark Tract, which was first purchased on July 11, 1667. Newark was granted a Royal charter on April 27, 1713. It was incorporated on February 21, 1798 by the New Jersey Legislature‘s Township Act of 1798, as one of New Jersey’s initial group of 104 townships. During its time as a township, portions were taken to form Springfield Township (April 14, 1794), Caldwell Township (February 16, 1798; now known as Fairfield Township), Orange Township (November 27, 1806), Bloomfield Township (March 23, 1812) and Clinton Township (April 14, 1834, remainder reabsorbed by Newark on March 5, 1902). Newark was reincorporated as a city on April 11, 1836, replacing Newark Township, based on the results of a referendum passed on March 18, 1836. The previously independent Vailsburg borough was annexed by Newark on January 1, 1905. In 1926, South Orange Township changed its name to Maplewood. As a result of this, a portion of Maplewood known as Ivy Hill was re-annexed to Newark’s Vailsburg. The name of the city is thought to derive from Newark-on-Trent, England, because of the influence of the original pastor, Abraham Pierson, who came from Yorkshire but may have ministered in Newark, Nottinghamshire. But Pierson is also supposed to have said that the community reflecting the new task at hand should be named “New Ark” for “New Ark of the Covenant and some of the colonists saw it as “New-Work”, the settlers’ new work with God. Whatever the origins, the name was shortened to Newark, although references to the name “New Ark” are found in preserved letters written by historical figures such as David Ogden in his claim for compensation, and James McHenry, as late as 1787. 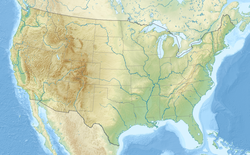 According to the United States Census Bureau, the city had a total area of 26.107 square miles (67.617 km2), including 24.187 square miles (62.644 km2) of land and 1.920 square miles (4.973 km2) of water (7.35% was water). It has the third-smallest land area among the 100 most populous cities in the U.S., behind neighboring Jersey City and Hialeah, Florida. The city’s altitude ranges from 0 (sea level) in the east to approximately 230 feet (70 m) above sea level in the western section of the city. Newark is essentially a large basin sloping towards the Passaic River, with a few valleys formed by meandering streams. Historically, Newark’s high places have been its wealthier neighborhoods. In the 19th century and early 20th century, the wealthy congregated on the ridges of Forest Hill, High Street, and Weequahic. Newark is surrounded by residential suburbs to the west (on the slope of the Watchung Mountains), the Passaic River and Newark Bay to the east, dense urban areas to the south and southwest, and middle-class residential suburbs and industrial areas to the north. The city is the largest in New Jersey’s Gateway Region, which is said to have received its name from Newark’s nickname as the “Gateway City”. Newark is New Jersey’s largest and second-most racially diverse city (after neighboring Jersey City). It is divided into five political wards, which are often used by residents to identify their place of habitation. In recent years, residents have begun to identify with specific neighborhood names instead of the larger ward appellations. Nevertheless, the wards remain relatively distinct. Industrial uses, coupled with the airport and seaport lands, are concentrated in the East and South Wards, while residential neighborhoods exist primarily in the North, Central, and West Wards. Newark’s Central Ward, formerly known as the old Third Ward, contains much of the city’s history including the original squares Lincoln Park, Military Park and Washington Park. The Ward contains the University Heights, The Coast/Lincoln Park, Government Center, Springfield/Belmont and Seventh Avenue neighborhoods. Of these neighborhood designations only University Heights, a more recent designation for the area that was the subject of the 1968 novel Howard Street by Nathan Heard, is still in common usage. The Central Ward extends at one point as far north as 2nd Avenue. In the 19th century, the Central Ward was inhabited by Germans and other white Catholic and Christian groups. The German inhabitants were later replaced by Jews, who were then replaced by Blacks. The increased academic footprint in the University Heights neighborhood has produced gentrification, with landmark buildings undergoing renovation. Located in the Central Ward is the nation’s largest health sciences university, UMDNJ-New Jersey Medical School. It is also home to three other universities – New Jersey Institute of Technology (NJIT), Rutgers University – Newark, and Essex County College. The Central Ward forms the present-day heart of Newark, and includes 26 public schools, two police precincts, including headquarters, four firehouses, and one branch library. The South Ward comprises the Weequahic, Clinton Hill, Dayton, and South Broad Valley neighborhoods. The South Ward, once home to residents of predominantly Jewish descent, now has ethnic neighborhoods made up primarily of African Americans and Hispanics. The South Ward is represented by Council Member John Sharpe James. The city’s second-largest hospital, Newark Beth Israel Medical Center, can be found in the South Ward, as can 17 public schools, five daycare centers, three branch libraries, one police precinct, a mini precinct, and three fire houses. The East Ward consists of much of Newark’s Downtown commercial district, as well as the Ironbound neighborhood, where much of Newark’s industry was in the 19th century. Today, due to the enterprise of its immigrant population, the Ironbound (also known as “Down Neck” and “The Neck”) is a destination for shopping, dining, and nightlife. A historically immigrant-dominated section of the city, the Ironbound in recent decades has been termed “Little Portugal” and “Little Brazil” due to its heavily Portuguese and Brazilian population, Newark being home to one of the largest Portuguese speaking communities in the United States. In addition, the East Ward has become home to various Latin Americans, African Americans, and commuters to Manhattan. Public education in the East Ward consists of East Side High School and six elementary schools. The ward is largely composed of densely packed housing, primarily large apartment buildings and rowhouses. Newark lies in the transition between a humid subtropical and humid continental climate (Köppen Cfa/Dfa), with cold, damp winters and hot, humid summers. The January daily mean is 31.6 °F (−0.2 °C), and although temperatures below 10 °F (−12 °C) are to be expected in most years, sub-0 °F (−18 °C) readings are rare; conversely, some days may warm up to 50 °F (10 °C). The average seasonal snowfall is 29.5 inches (75 cm), though variations in weather patterns may bring sparse snowfall in some years and several major nor’easters in others, with the heaviest 24-hour fall of 25.9 inches (66 cm) occurring on December 26, 1947. Spring and autumn in the area are generally unstable yet mild. The July daily mean is 77.4 °F (25.2 °C), and highs exceed 90 °F (32 °C) on an average 27 days per year, not factoring in the oft-higher heat index. The city had a population of 277,140 as of the 2010 Census, retaining its position as the largest city in the state and making it the nation’s 67th-most populous municipality. The increase in 2010 of 3,594 (+1.3%) from the 273,546 counted in the 2000 Census marked the second census in 70 years in which the city’s population had grown from the previous enumeration. After reaching a peak of 442,337 residents counted in the 1930 Census, the city’s population saw a decline of nearly 40% as residents moved to surrounding suburbs. “White flight” from Newark to the suburbs started in the 1940s and accelerated in the 1960s, due in part to the construction of the Interstate Highway System. The 1967 riots resulted in a significant population loss of the city’s middle class, many of them Jewish, which continued from the 1970s through to the 1990s. The city lost about 130,000 residents between 1960 and 1990. From the 1950s to 1967, Newark’s white population shrank from 363,000 to 158,000; its black population grew from 70,000 to 220,000. The percentage of Non-Hispanic whites declined from 82.8% in 1950 to 11.6% by 2010. The percentage of Latinos in Newark grew between 1980 and 2010, from 18.6% to 33.8% while that of Blacks decreased from 58.2% to 52.4%. Poverty remains a consistent problem in Newark, despite its revitalization in recent years. As of 2010, roughly one-third of the city’s population was impoverished. The Census Bureau’s 2006–2010 American Community Survey showed that (in 2010 inflation-adjusted dollars) median household income was $35,659 (with a margin of error of +/− $1,009) and the median family income was $41,684 (+/− $1,116). Males had a median income of $34,350 (+/− $1,015) versus $32,865 (+/− $973) for females. The per capita income for the city was $17,367 (+/− $364). About 22.0% of families and 25.0% of the population were below the poverty line, including 34.9% of those under age 18 and 22.4% of those age 65 or over. As of the 2000 Census, 49.2% of the city’s 80,622 residents who identified themselves as Hispanic or Latino were from Puerto Rico, while 9.4% were from Ecuador and 7.8% from the Dominican Republic. There is a significant Portuguese-speaking community concentrated in the Ironbound district. 2000 Census data showed that Newark had 15,801 residents of Portuguese ancestry (5.8% of the population), while an additional 5,805 (2.1% of the total) were of Brazilian ancestry. The median income for a household in the city was $26,913, and the median income for a family was $30,781. Males had a median income of $29,748 versus $25,734 for females. The per capita income for the city was $13,009. 28.4% of the population and 25.5% of families were below the poverty line. 36.6% of those under the age of 18 and 24.1% of those 65 and older were living below the poverty line. The city’s unemployment rate was 8.5%. More than 100,000 people commute to Newark each workday, making it the state’s largest employment center with many white-collar jobs in insurance, finance, import-export, health-care, and government. As a major courthouse venue including federal, state, and county facilities, it is home to more than 1,000 law firms. The city is also a college town, with nearly 50,000 students attending the city’s universities and medical and law schools. Its airport, maritime port, rail facilities, and highway network make Newark the busiest transshipment hub on the East Coast in terms of volume. Though Newark is not the industrial colossus of the past, the city does have a considerable amount of industry and light manufacturing. The southern portion of the Ironbound, also known as the Industrial Meadowlands, has seen many factories built since World War II, including a large Anheuser-Busch brewery that opened in 1951 and distributed 7.5 million barrels of beer in 2007. The service industry is also growing rapidly, replacing those in the manufacturing industry, which was once Newark’s primary economy. In addition, transportation has become a large business in Newark, accounting for more than 17,000 jobs in 2011. 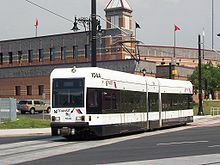 Newark is one of nine cities in New Jersey designated as eligible for Urban Transit Hub Tax Credits by the state’s Economic Development Authority. Developers who invest a minimum of $50 million within 0.5 miles of a train station are eligible for pro-rated tax credit. After the election of Cory Booker, millions of dollars of public-private partnership investment were made in Downtown development, but persistent underemployment continue to characterize many of the city’s neighborhoods. Poverty remains a consistent problem in Newark. As of 2010, roughly one-third of the city’s population was impoverished. Newark is the third-largest insurance center in the United States, after New York City and Hartford. 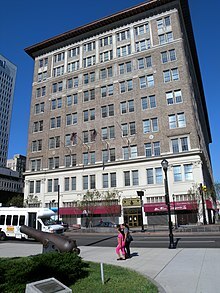 Prudential Financial, Mutual Benefit Life, Fireman’s Insurance, and American Insurance Company all originated in the city, while Prudential still has its home office in Newark. Many other companies are headquartered in the city, including IDT Corporation, NJ Transit, Public Service Enterprise Group (PSEG), Manischewitz, Horizon Blue Cross and Blue Shield of New Jersey. and Audible.com. In 2013 Panasonic moved its North American headquarters to a new 250,000-square-foot (23,000 m2) office building. Military Park in Downtown Newark, the town commons since 1869 and home to the Wars of America sculpture and the casual restaurant, Burg. As of 2018, the park is privately operated. Managed by a nonprofit corporation, the Military Park Partnership, which is staffed by Dan Biederman and Biederman Redevelopment Ventures, credited with transforming Manhattan’s Bryant Park. The Military Park Partnership manages the programs, events, operations, security, and horticulture of the park. 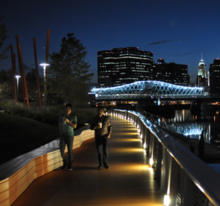 Riverfront Park, which stretches along the Passaic River offering the “Orange Boardwalk” walkway paths with views of the water. Branch Brook Park, home to Newark’s annual Cherry Blossom Festival and the largest collection of cherry blossom trees in the United States. Designed by the Olmsted Brothers firm, who were the sons of landscape architect Frederick Law Olmsted. It is a county park run by the Essex County Park System. Independence Park, in the Ironbound district. Our Lady of Mt. Carmel, the Ironbound’s first Italian parish and now a more Portuguese and Latin parish, faces the park. The church holds an annual June pageant and processional where a statue of the Virgin Mary is carried through the streets. Jesse Allen Park, in the Central Ward. The 8-acre (3.2 ha) Jesse Allen Park is Newark’s second-largest city-owned park. It is located near several schools and youth facilities, including a well-liked Boys & Girls Club of Newark facility. As of 2017, it offered new amenities including new sports fields, skateboarding, basketball, Fitness Zone exercise stations, a water play spray area, and climate-resilient garden features. Mulberry Commons is a planned park between Prudential Center and Penn Station near what was once the heart of Newark’s Chinatown. Nat Turner Park. Dedicated in July 2009, Newark’s largest city-owned park is located in the Central Ward. It is named for the famous 19th-century American slave rebellion leader, Nat Turner. Weequahic Golf Course is an 18-hole public course. The facility was described in 2016 by the Golf Channel as a “hidden gem”. Home to The First Tee Program of Essex County and golf pro Wiley Williams, who was one of the first African-American golfers to win a major New Jersey golf event and works to introduce city youth to the sport. There are several notable Beaux-Arts buildings, such as the Veterans’ Administration building, the Newark Museum, the Newark Public Library, and the Cass Gilbert-designed Essex County Courthouse. 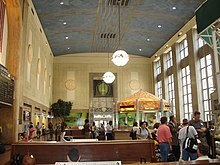 Notable Art Deco buildings include several 1930s era skyscrapers, such as the National Newark Building and Eleven 80, the restored Newark Penn Station, and Arts High School. Gothic architecture can be found at the Cathedral of the Sacred Heart by Branch Brook Park, which is one of the largest gothic cathedrals in the United States. It is rumored to have as much stained glass as the Cathedral of Chartres. Newark also has two public sculpture works by Gutzon Borglum—Wars of America in Military Park and Seated Lincoln in front of the Essex County Courthouse. Moorish Revival buildings include Newark Symphony Hall and the Prince Street Synagogue, one of the oldest synagogue buildings in New Jersey. The New Jersey Performing Arts Center, near Military Park, opened in 1997, is the home of the New Jersey Symphony Orchestra and the New Jersey State Opera, The center’s programs of national and international music, dance, and theater make it the nation’s sixth-largest performing arts center, attracting over 400,000 visitors each year. 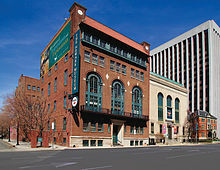 Prior to the opening of the performing arts center, Newark Symphony Hall was home to the New Jersey Symphony, the New Jersey State Opera, and the Garden State Ballet, which still maintains an academy there. The 1925 neo-classic building, originally built by the Shriners, has three performance spaces, including the main concert named in honor of famous Newarker Sarah Vaughan, offering rhythm and blues, rap, hip-hop, and gospel music concerts, and is part of the modern-day Chitlin’ Circuit. Venues at the universities in the city are also used to present professional and semi-professional theater, dance, and music. 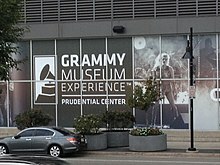 Since its opening, the Prudential Center in 2007 has presented Diana Ross, Katy Perry, Lady Gaga, Britney Spears, The Eagles, Hannah Montana/Miley Cyrus, Spice Girls, Jonas Brothers, Metro Station, Metallica, Alicia Keys, Demi Lovato, David Archuleta, Taylor Swift and American Idol Live!, among others. Bon Jovi performed a series of ten concerts to mark the venue’s opening. In the house music and garage house genres and scene, Newark is known as an innovator. Newark’s Club Zanzibar, along with other gay and straight clubs in the 1970s and 80s, was famous as both a gay and straight nightlife destination. Famed DJ Tony Humphries helped “spawn the sometimes raw but always soulful, gospel-infused subgenre” of house music known as the Jersey Sound. The club scene also gave rise to the ball culture scene in Newark hotels and nightclubs. The Newark Museum is the largest in New Jersey. Highlights of its collection include American and Tibetan art. The museum also contains science galleries, a planetarium, a gallery for children’s exhibits, a fire museum, a sculpture garden and an 18th-century schoolhouse. Also part of the museum is the historic John Ballantine House, a restored Victorian mansion which is a National Historic Landmark. The museum co-sponsors the Newark Black Film Festival, which has premiered numerous films since its founding in 1974. Since 1962, Newark has been home to the Institute of Jazz Studies, the world’s foremost jazz archives and research libraries. Located in the John Cotton Dana Library at Rutgers-Newark, the Institute houses more than 200,000 jazz recordings in all commercially available formats, more than 6,000 monograph titles, including discographies, biographies, history and criticism, published music, film and video; over 600 periodicals and serials, dating back to the early 20th century; and one of the country’s most comprehensive jazz oral history collections, featuring more than 150 jazz oral histories, most with typed transcripts. On December 9, 2007, the Jewish Museum of New Jersey at 145 Broadway in the Broadway neighborhood, held its grand opening. The museum is dedicated to the cultural heritage of New Jersey’s Jewish people. The museum is housed at Ahavas Sholom, the last continually operating synagogue in Newark. By the 1950s there were 50 synagogues in Newark serving a Jewish population of 70,000 to 80,000, once the sixth-largest Jewish community in the United States. The Portraits mural, a massive multi-artist painting the length of 25 football fields created in 2016, is the longest continuous mural on the East Coast, and the second longest in the country. Seventeen artists contributed sections to the mural, including Adrienne Wheeler, Akintola Hanif, David Oquendo, Don Rimx, El Decertor, GAIA, GERA, Kevin Darmanie, Khari Johnson-Ricks, Lunar New Year, Manuel Acevedo, Mata Ruda, Nanook, Nina Chanel Abney, Sonni, Tatyana Fazlalizadeh, WERC and Zeh Palito. “Portraits” begins roughly at the intersection of Pointer Street and McCarter Highway in the South Ironbound district and stretches northwards 1.39 miles (2.24 km) along the century-old stone walls supporting the Amtrak, NJ Transit and PATH train tracks facing Newark’s McCarter Highway (New Jersey Route 21). Festivals and parades held annually or bi-annually include the Cherry Blossom Festival (April) in Branch Brook Park, the Portugal Day Festival (June) in the Ironbound, the McDonald’s Gospelfest (spring) at Prudential Center, the Lincoln Park Music Festival (July) at Lincoln Park, the Newark Black Film Festival (summer) and Paul Robeson Awards (biennial), the Geraldine R. Dodge Poetry Festival (October, biennial) at various venues and the citywide Open Doors (October), the Afro Beat Fest (July) at Military Park, and the James Moody Jazz Festival, named for James Moody, the jazz artist raised in Newark (week-long event in November). St. Lucy’s Church, a historically Italian parish in what was Newark’s Little Italy, features an annual October procession and festival for St. Gerard Majella. The state’s leading newspaper, The Star-Ledger, owned by Advance Publications, is based in Newark. The newspaper sold its headquarters in July 2014, with the offices of the publisher, the editorial board, columnists, and magazine relocating to the Gateway Center. The Newark Targum is a weekly student newspaper published by the Targum Publishing Company for the student population of the Newark campus of Rutgers University. With a studio on the 6th floor and showy antenna on the roof, Bamberger’s launched WOR to sell more radios. 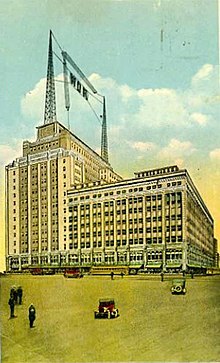 Pioneer radio station WOR was started by Bamberger Broadcasting Service in 1922 and broadcast from studios at its retailer’s downtown department store. Today the building serves telecom, colocation, and computer support industries. cutover the telephone exchanges Mulberry and Waverly to semi-mechanical operation on January 16 and June 12, respectively. The Panel system was the Bell System solution to the big city problem, where an exchange had to serve large numbers of subscribers on both manual as well as automatically switched central offices, without negatively impacting established user convenience and reliability. As originally introduced in these exchanges, subscribers’ telephones had no dials and customers continued to make calls by asking an operator to ring their called party, at which point the operator keyed the telephone number into the panel equipment, instead of making cord connections manually. New Jersey’s first television station, WATV Channel 13, signed-on May 15, 1948, from studios at the Mosque Theater known as the “Television Center Newark.” The studios were home to WNTA-13 beginning in 1958 and WNJU-47 until 1989. WNET, a flagship station of the Public Broadcasting Service now on channel 13, and Spanish-language WFUT-TV, a UniMás owned-and-operated station, are licensed to Newark. Tempo Networks, producing for the pan-Caribbean television market, is based in the city. NwkTV has been the city’s government access channel since 2009 and broadcast as Channel 78 on Optimum. The company has a high-tech call center in Newark, employing over 500 people. PBS network NJTV‘s main broadcasting studios (NJTV is also a sister station of the Newark-licensed WNET) are also in the Gateway Center Office Complex. Numerous movies, television programs, and music videos have been shot in Newark, its period architecture and its streetscape seen as an ideal “urban setting”. The Jersey Motion Picture and Television Commission is in the city. In 2011, the city created the Newark Office of Film and Television in order to promote the making of media productions. Some months earlier the Ironbound Film & Television Studios, the only “stay and shoot” facility in the metro area opened, its first production being Bar Karma. In 2012 the city hosted the seventh season of the reality show competition America’s Got Talent. There have been several film and TV productions depicting life in Newark. Life of Crime was originally produced in 1988 and was followed by a 1998 sequel. New Jersey Drive is a 1995 film about the city when it was considered the “car theft capital of the world”. Street Fight is an Academy Award-nominated documentary film which covered the 2002 mayoral election between incumbent Sharpe James and challenger Cory Booker. In 2009, the Sundance Channel aired Brick City, a five-part television documentary about Newark, focusing on the community’s attempt to become a better and safer place to live, against a history of nearly a half century of violence, poverty and official corruption. The second season premiered January 30, 2011. Revolution ’67 is an award-winning documentary which examines the causes and events of the 1967 Newark riots. The HBO television series The Sopranos filmed many of its scenes in Newark, and is partially based on the life of Newark mobster Richard Boiardo. The Once and Future Newark (2006) is a documentary travelogue about places of cultural, social and historical significance by Rutgers History Professor Clement Price. Newark has hosted many teams, though much of the time without an MLB, NBA, NHL, or NFL team in the city proper. Currently, the city is home to just one, the NHL’s New Jersey Devils. As the second largest city in the New York metropolitan area Newark is part of the regional professional sports and media markets. Two venues in the northeastern New Jersey metro region are in Downtown Newark: Prudential Center, a multi-purpose indoor arena designed by HOK Sport that opened in October 2007 with a Bon Jovi concert and a hockey game. Known as “The Rock”, the arena is the home of the National Hockey League‘s New Jersey Devils and the NCAA’s Seton Hall Pirates men’s basketball team, seating 18,711 for basketball and 16,514 for hockey. Riverfront Stadium was a 6,200-seat baseball park that was home to the baseball teams of the Rutgers-Newark Scarlet Raiders, who play in the New Jersey Athletic Conference as part of NCAA Division III, and the NJIT Highlanders, who play in the Atlantic Sun Conference as part of NCAA Division I. The stadium opened in July 1999 as the home of the Newark Bears, who played in the stadium until the team folded in 2014. The site of the stadium was sold in March 2016 to a developer who plans a mixed-use residential high rise project. The New Jersey Nets played two seasons (2010–2012) at the Prudential Center until moving to the Barclays Center. The New York Liberty of the Women’s National Basketball Association (WNBA) also played there for three seasons (2011–2013) during renovations of Madison Square Garden. The center has hosted the 2012 Stanley Cup Finals, the 2011 NBA draft, and the 2013 NHL Entry Draft. EliteXC: Primetime, a mixed martial arts (MMA) event which took place on May 31, 2008, was the first MMA event aired in primetime on major American network television. Newark was a host city and its airport a gateway for Super Bowl XLVIII which was played on February 2, 2014. The game took place at MetLife Stadium, home of the hosting teams New York Giants and New York Jets. Media Day, the first event leading up to the game, took place on January 28 at the Prudential Center. The original Vince Lombardi Trophy, produced by Tiffany & Co. in Newark in 1967 and borrowed from the Green Bay Packers, was being displayed at the Newark Museum from January 8 until March 30, 2014. Ultimate Fighting Championship‘s annual Super Bowl weekend mixed martial arts event, UFC 169: Cruz vs. Barao, took place on February 1 at the Prudential Center. The Mayor of Newark is Ras Baraka, who is serving a term of office ending on June 30, 2018. After becoming acting mayor on October 31, 2013, Luis A. Quintana, born in Añasco, Puerto Rico, was sworn in as Newark’s first Latino mayor on November 4, 2013, assuming the unexpired term of Cory Booker, who vacated the position to become the junior U.S. Senator from New Jersey. Quintana’s term ended on June 30, 2014. He was selected unanimously at a council meeting to replace the previously elected Booker, who resigned and was sworn in on October 31, 2013 after winning the October 16 special election for U.S. Senator to replace the seat held by Frank Lautenberg until his death. The Newark mayoral election took place on May 13, 2014, and was won by Baraka, who was sworn in as Newark’s 40th mayor on July 1, 2014. Newark is split between the 8th and 10th Congressional Districts and is part of New Jersey’s 28th and 29th state legislative districts. Prior to the 2011 reapportionment following the 2010 Census, Newark had been split between the 27th, 28th and 29th state legislative districts. Prior to the 2010 Census, Newark had been split between the 10th Congressional District and the 13th Congressional District, a change made by the New Jersey Redistricting Commission that took effect in January 2013, based on the results of the November 2012 general elections. As part of the split that took effect in 2013, 123,763 residents in two non-contiguous sections in the city’s north and northeast were placed in the 8th District and 153,377 in the southern and western portions of the city were placed in the 10th District. For the 116th United States Congress, New Jersey’s Eighth Congressional District is represented by Albio Sires (D, West New York). For the 116th United States Congress, New Jersey’s Tenth Congressional District is represented by Donald Payne Jr. (D, Newark). New Jersey is represented in the United States Senate by Democrats Cory Booker (Newark, term ends 2021) and Bob Menendez (Paramus, term ends 2025). Surrogate Theodore N. Stephens II (D, 2021). In the 2012 presidential election, Democrat Barack Obama received 95.0% of the vote (78,352 cast), ahead of Republican Mitt Romney with 4.7% (3,852 votes), and other candidates with 0.4% (298 votes), among the 82,030 ballots cast by the city’s 145,059 registered voters for a turnout of 56.5%. In the 2008 presidential election, Democrat Barack Obama received 90.8% of the vote (77,112 ballots cast), ahead of Republican John McCain who received 7.0% of the vote (5,957 votes), with 84,901 of the city’s 140,946 registered voters participating, for a turnout of 60.2% of registered voters. In the 2004 presidential election, Democrat John Kerry received 85.9% of the vote (62,700 ballots), outpolling Republican George W. Bush, who received 12.8% (9,344), with 72,977 of 127,049 registered voters participating, for a turnout percentage of 57.4%. In the 2013 gubernatorial election, Democrat Barbara Buono received 80.8% of the vote (29,039 cast), ahead of Republican Chris Christie with 17.9% (6,443 votes), and other candidates with 1.2% (437 votes), among the 37,114 ballots cast by the city’s 149,778 registered voters (1,195 ballots were spoiled), for a turnout of 24.8%. In the 2009 Gubernatorial Election, Democrat Jon Corzine received 90.2% of the vote (36,637 ballots cast), ahead of Republican Chris Christie who received 8.3% of the vote (3,355 votes), with 40,613 of the city’s 134,195 registered voters (30.3%) participating. Newark has been marred with political corruption throughout the years. Five of the previous seven mayors of Newark have been indicted on criminal charges, including the three mayors before Cory Booker: Hugh Addonizio, Kenneth Gibson and Sharpe James. As reported by Newsweek: “… every mayor since 1962 (except one, Cory Booker) has been indicted for crimes committed while in office”. Addonizio was mayor of Newark from 1962 to 1970. A son of Italian immigrants, a tailor and World War II veteran, he ran on a reform platform, defeating the incumbent, Leo Carlin, whom, ironically, Addonizio characterized as corrupt and a part of the political machine of the era. In December 1969, Addonizio and nine present or former officials of the municipal administration in Newark were indicted by a Federal grand jury; five other persons were also indicted. In July 1970, the former mayor, and four other defendants, were found guilty by a Federal jury on 64 counts each, one of conspiracy and 63 of extortion. In September 1970, Addonizio was sentenced to ten years in federal prison and fined $25,000 by Federal Judge George Herbert Barlow for his role in a plot that involved the extortion of $1.5 million in kickbacks, a crime that the judge said “tore at the very heart of our civilized society and our form of representative government”. His successor was Kenneth Gibson, the city’s first African American mayor, elected in 1970. He pleaded guilty to federal tax evasion in 2002 as part of a plea agreement on fraud and bribery charges. During his tenure as mayor in 1980, Gibson was tried and acquitted of giving out no-show jobs by an Essex County jury. Newark is the home of multiple institutions of higher education, including: a Berkeley College campus, the main campus of Essex County College, New Jersey Institute of Technology (NJIT), the Newark Campus of Rutgers Biomedical and Health Sciences (formerly University of Medicine and Dentistry of New Jersey), Rutgers University–Newark, Seton Hall University School of Law, and Pillar College. Kean University is located in adjacent Union, New Jersey. Most of Newark’s academic institutions are in the city’s University Heights district. The colleges and universities have worked together to help revitalize the area, which serves more than 60,000 students and faculty. As of the 2006–2010 American Community Survey, 16.0% of Newark residents ages 25 and over had never attended high school and 15.9% didn’t graduate, while 68.1% had at least graduated from high school, including the 12.3% who had earned a bachelor’s degree or higher. The total school enrollment in Newark city was 75,025 in the 2006–2010 ACS, with pre-primary school enrollment of 10,560, elementary or high school enrollment of 46,691 and college enrollment of 17,774. The Newark Public Schools, a state-operated school district, is the largest school system in New Jersey. The district is one of 31 former Abbott districts statewide, which are now referred to as “SDA Districts” based on the requirement that the state cover all costs for school building and renovation projects in these districts under the supervision of the New Jersey Schools Development Authority. As of the 2014–15 school year, the district and its 76 schools had an enrollment of 34,861 students and 2,815.0 classroom teachers (on an FTE basis), for a student–teacher ratio of 12.4:1. Science Park High School, which was the 69th-ranked public high school in New Jersey out of 322 schools statewide, in New Jersey Monthly magazine’s September 2010 cover story on the state’s “Top Public High Schools”, after being ranked 50th in 2008 out of 316 schools. Technology High School has a GreatSchools rating of 9/10 and was ranked 165th in New Jersey Monthly’s 2010 rankings. Newark high schools ranked in the bottom 10% of the New Jersey Monthly 2010 list include Central (274th), East Side (293rd), Newark Vocational (304th), Weequahic (310th), Barringer (311th), Malcolm X Shabazz (314th) and West Side (319th). Facebook co-founder Mark Zuckerberg donated a challenge grant of $100 million to the district in 2010, choosing Newark because he stated he believed in Mayor Cory Booker and Governor Chris Christie’s abilities. The city hosts three high schools as part of the Roman Catholic Archdiocese of Newark: the coeducational Christ The King Prep, founded in 2007, is part of the Cristo Rey Community; Saint Benedict’s Preparatory School is an all-boys Roman Catholic high school founded in 1868 and conducted by the Benedictine monks of Newark Abbey, whose campus has grown to encompass both sides of MLK Jr. Blvd. near Market Street and includes a dormitory for boarding students; and Saint Vincent Academy which is an all-girls Roman Catholic high school founded and sponsored by the Sisters of Charity of Saint Elizabeth and operated continuously since 1869. Newark Liberty International Airport is the second-busiest airport in the New York metro area and the 15th-busiest in the United States (in terms of passenger traffic). Newark Airport was the New York City area’s first commercial airport, opened in 1928 on land reclaimed by the Port Authority. The Morris Canal, stretching 102 miles (164 km) to Newark from Phillipsburg on the Delaware River, was completed in 1831 and allowed coal and other industrial and agricultural products from Pennsylvania to be transported cheaply and efficiently to the New York metropolitan area. The canal’s completion led to increased settlement in Newark, vastly increasing the population for years to come. 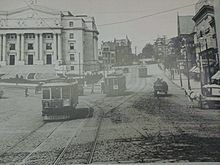 After the canal was decommissioned, its right of way was converted into the Newark City Subway, now known as the Newark Light Rail. Many of the subway stations still portray the canal in its original state, in the form of mosaic works. Newark Penn Station, situated just east of downtown, is the city’s major train station. It is served by the interurban PATH train (which links Newark 24/7 to Jersey City and Manhattan), three NJ Transit (NJT) commuter rail lines, and Amtrak intercity rail service. It was designed by McKim, Mead & White and completed in 1935. One mile north, the Newark Broad Street Station is served by two NJT commuter rail lines. The two train stations are linked by the Newark Light Rail system, which also provides services from Newark Penn Station to Newark’s northern communities and into the neighboring towns of Belleville and Bloomfield. Built in the bed of the Morris Canal, the light rail cars run underground in Newark’s downtown area. The city’s third train station, Newark Liberty International Airport, connects the Northeast Corridor to the airport via AirTrain Newark. Newark is home to five hospitals. University Hospital, an independent institution that is a teaching hospital of Rutgers Biomedical and Health Sciences, has been the busiest Level I trauma center in the state. Newark Beth Israel Medical Center is the largest hospital in the city and is a part of Barnabas Health, the state’s largest system of hospital and health care facilities. Beth Israel is also one of the oldest hospitals in the city, dating back to 1901. This 669-bed regional facility is also home to the Children’s Hospital of New Jersey. Catholic Health East operates Saint Michael’s Medical Center. Columbus Hospital LTACH is a longterm acute care hospital designed to focus on patients with serious and complex medical conditions that require intense specialized treatment for an extended period of recovery time. Hospitals which have been closed in recent years include the Saint James Hospital, Mount Carmel Guild Hospital and the United Hospitals Medical Center. University Hospital EMS (UH-EMS) operates the EMS system for the city. The department operates a fleet of six BLS units staffed with two EMTs 24/7, supplemented by four 12-hour “power” trucks (operated during peak demand time hours), five ALS units staffed with two paramedics (one of which is stationed at Newark International Airport and covers the airport and Port Newark-Elizabeth, and frequently responds into the City of Elizabeth), and a critical care unit staffed by a paramedic and an RN. With distinction they also staff the only hospital based heavy rescue truck in the country, known as University EMS Rescue 1. The EMS system is the busiest system per unit in the nation. On average, a BLS unit may be sent to 20–25 dispatches in a 12-hour shift. They also provide the medical staffing for Northstar, with one of the two NJ State Police medevac helicopters, staffing one flight nurse and a flight medic around the clock. The EMS system in Newark handles upwards of 125,000 requests for service annually. The Essex County Sheriff’s Office, New Jersey Transit Police Department (headquartered in Penn Plaza East) and the Port Authority of New York and New Jersey Police Department are also within their jurisdiction in the city, as are the New Jersey State Police. In April 2014, it was announced that the State Police would play a more prominent role in patrolling the streets of the city under the “TIDE-TAG” program. The Essex County College Police Department, New Jersey Institute of Technology Police Department and Rutgers University Police Department patrol their respective college campuses in the city. Conrail and Amtrak Police patrol their respective rail yards and property. In 1996, Money magazine ranked Newark “The Most Dangerous City in the Nation.” By 2007, the city recorded a total of 99 homicides for the year, representing a significant drop from the record of 161 murders set in 1981. The number of murders in 2008 dropped to 65, a decline of 30% from the previous year and the lowest in the city since 2002 when there were also 65 murders. In 2010, Newark recorded 90 homicides. March 2010 was the first calendar month since 1966 in which the city did not record a homicide. Overall, there was a 6% increase in crime numbers over the previous year, including a rise in carjackings for the third straight year, with the 337 incidents raising concerns that the city was returning to its status as the “car theft capital of the world”. Along with the increase in crime, the Newark Police Department increased its recovery of illegally owned guns in 2011 to 696, up from 278 in 2010. The Federal Bureau of Investigation recorded 94 homicides in 2011 and 95 in 2012. In 2012 CNNMoney ranked Newark as the 6th most dangerous city in the United States, based on numbers by FBI Crime in the United States 2011 report. The city had 10 murders in 10 days during the period ending September 6, 2013, a statistic largely attributed to the reduction of the police force. In 2013 Newark recorded 111 homicides, the first year ending in triple digits in seven years and the highest tally since 1990, accounting for 27% of all murders statewide. In 2014, the total number of homicides in Newark was 93, while Essex County as a whole had 117 murders. The Star-Ledger reported that there were 105 homicides in the city in 2015. The city had 72 homicides in 2017, a statistic described as a “historic low”, and a sharp drop from the 96 murders recorded in the city in 2016. Pope John Paul II visited the city in 1995, at which time he elevated the city’s cathedral to a basilica to become the Cathedral Basilica of the Sacred Heart. In 2011, the Dalai Lama was guest of honor at the Newark Peace Education Summit. ^ a b c PEPANNRES – Annual Estimates of the Resident Population: April 1, 2010 to July 1, 2017 – 2017 Population Estimates for New Jersey municipalities, United States Census Bureau. Accessed October 23, 2018. ^ a b PEPANNRSIP – Annual Estimates of the Resident Population for Incorporated Places of 50,000 or More, Ranked by July 1, 2017 Population: April 1, 2010 to July 1, 2017 – United States — Places of 50,000+ Population from the 2017 Population Estimates, United States Census Bureau. Accessed October 23, 2018. ^ Mazzola, Jessica. “Newark park adding 1,000 more trees to nation’s largest collection of cherry blossoms”, The Star-Ledger, March 25, 2015. Accessed August 30, 2015. ^ Staff. “Student scientists track nation’s largest collection of cherry blossom trees at Essex County park”, The Star-Ledger, August 13, 2010. Accessed September 11, 2014. ^ Hinds, Kate. “Look | Cherry Blossom Trees Flourish in Newark”, WNYC, March 25, 2012. Accessed September 11, 2014. ^ Scarantino, Drew Anne. “In Full Bloom” Archived November 13, 2011, at the Wayback Machine New Jersey Monthly, March 14, 2011. Accessed September 11, 2014. ^ a b Snyder, John P. The Story of New Jersey’s Civil Boundaries: 1606–1968, Bureau of Geology and Topography; Trenton, New Jersey; 1969. p. 130. Accessed February 14, 2012. ^ “Tenants’ Right to Counsel on the Move, Next Stop Newark”. nextcity.org. Retrieved January 21, 2019. ^ Staff. “‘Obvious gerrymander,’ Scrimmage says of plans”, Afro-American, April 12, 1969. Accessed June 25, 2012. ^ Waggoner, Walter H. “Voting Boundaries Awaited in Essex”, The New York Times, November 27, 1977. Accessed June 25, 2012. ^ “U.S. Census Bureau Delivers New Jersey’s 2010 Census Population Totals, Including First Look at Race and Hispanic Origin Data for Legislative Redistricting”, United States Census Bureau, February 3, 2011. Accessed June 13, 2016. ^ a b c d Gibson, Campbell; and Jung, Kay. “Historical Census Statistics On Population Totals By Race, 1790 to 1990, and By Hispanic Origin, 1970 to 1990, For Large Cities And Other Urban Places In The United States” Archived August 6, 2012, at WebCite United States Census Bureau, February 2005. Accessed May 12, 2017. ^ “Newark: A Brief History: From Puritan stronghold to industrial mecca to ‘Renaissance City,’ Newark, New Jersey, one of the poorest cities in the US, has undergone a series of radical transformations.”, PBS. Accessed April 7, 2015. ^ Gillespie, Andra; Perry, Ravi K. (editor). “Chapter 3 – Beyond Booker: Assessing the Prospects of Black and Latino Mayoral Contenders in Newark, New Jersey” in 21st Century Urban Race Politics: Representing Minorities as Universal Interests, p. 33. Emerald Group Publishing, 2013. ISBN 9781781901847. Accessed April 7, 2015. ^ Giambusso, David. “With Newark council president vote, Ras Baraka could win Latino support”, The Star-Ledger, September 22, 2013. Accessed June 13, 2016. ^ Mascarenhas, Rohan. “Census Bureau makes final push for N.J. residents to submit forms”, The Star-Ledger, April 15, 2010. Accessed September 13, 2011. ^ Mistry, Nisha. “Newark’s Manufacturing Competitiveness: Findings and Strategies”, Brookings Institution, May 28, 2013. Accessed April 7, 2015. ^ “Incentive Programs – Urban Transit Hub Tax Credit Program”, New Jersey Economic Development Authority. Accessed April 7, 2015. ^ Giambusso, David. “Cory Booker’s legacy in Newark under spotlight as he looks to Senate”, The Star-Ledger, October 6, 2013. Accessed April 7, 2015. ^ Zernike, Kate. “Promise vs. Reality in Newark on Mayor’s Watch”, The New York Times, December 13, 2012. Accessed June 13, 2016. ^ Zezima, Katie. “Bound for DC, Booker leaves mixed legacy in Newark”, The Trentonian, October 18, 2013. Accessed June 13, 2016. ^ Staff. “When Cory’s gone”, The Economist, August 14, 2013. Accessed June 13, 2016. ^ Bradley, Bill. “Is Cory Booker Really the People’s Choice?”, Next City, September 13, 2013. Accessed June 13, 2016. ^ Rose, Joel. “Cory Booker: Supermayor Or Self-Promoter?”, National Public Radio, August 6, 2013. Accessed June 13, 2016. ^ Burd, Joshua. “To see Newark rebirth, look up; As big names plan high rises in city, real estate firms see rising demand”, NJBiz, August 13, 2012. Accessed June 13, 2016. ^ Morley, Hugh R. “Hartz withdraws suit over Panasonic move”, The Record (Bergen County), September 12, 2011. Accessed September 13, 2011. ^ De Poto, Tom. “Christie cuts ribbon on Panasonic’s new headquarters in Newark, salutes bipartisanship”, The Star-Ledger, September 17, 2013. Accessed June 13, 2016. ^ “https://www.golfchannel.com/video/ginella-discovers-hidden-gem-weequahic/”, Golf Channel, July 30, 2016. Accessed June 11, 2018. ^ Kiefer, Eric. “Newark Golf Legend Inspires Community: ‘No Tiger Without Wiley’ ‘There would be no Tiger Woods if there wasn’t Wiley Williams,’ an Essex County Freeholder said.”, Newark Patch, August 9, 2017. Accessed June 11, 2018. ^ McGlone, Peggy. “Historic music hall has brighter days ahead”, The Record (Bergen County), September 24, 2007. Accessed June 26, 2012. ^ “2014 GERALDINE R. DODGE POETRY FESTIVAL TO BE HELD OCTOBER 23–26 AT NEW JERSEY PERFORMING ARTS CENTER AND NEWARK’S DOWNTOWN ARTS DISTRICT”, New Jersey Performing Arts Center, April 22, 2014. Accessed June 13, 2016. ^ “Jersey club: From Newark to the world”, Resident ], Resident Advisor. Accessed June 11, 2018. ^ “Library Locations – Newark Public Library”. npl.org. Retrieved April 19, 2019. ^ “Calendar – Newark Public Library”. npl.org. Retrieved April 19, 2019. ^ “Creation of longest mural on the East Coast kicked off in Newark”, Brick City Live, May 13, 2016. Accessed June 11, 2018. ^ Yi, Karen. “Newark’s Afro Beat Fest brings history, culture”, NJ Advance Media for NJ.com, July 16, 2017. Accessed June 11, 2018. ^ “NJPAC Announces the 2017 TD James Moody Jazz Festival Line-Up”, Broadway World, June 12, 2017. Accessed June 11, 2018. ^ The City of Newark’s Government Access Channel Archived April 8, 2016, at the Wayback Machine City of Newark. Accessed May 10, 2016. ^ Ortega, Ralph R. “Newark launches its own digital TV channel”, The Star-Ledger, January 25, 2009. Accessed May 10, 2016. ^ Staff. “EDA approves $37M Urban Transit Hub grant to Cablevision”, NJBiz, June 12, 2012. Accessed May 10, 2016. ^ Getto, Erica. “Booker Creates Newark Office of Film and Television”, WNYC, August 4, 2011, backed up by the Internet Archive as of April 19, 2013. Accessed June 13, 2016. ^ Honan, Edith. “Newark’s Film Hopes Snag on State Budget Fight”, Backstage, March 14, 2011. Accessed June 13, 2016. ^ McGlone, Peggy. “America’s Got Talent to film at NJPAC in Newark”, The Star-Ledger, April 8, 2012. Accessed May 10, 2016. ^ via Associated Press. “‘The Sopranos’ draws stargazers in Newark”, USA Today, February 6, 2006. Accessed June 13, 2016. ^ Malanga, Steven. “Unglamorous Mobsters; As a 1988 HBO documentary reveals, the real Sopranos were brutal—and banal.”, City Journal, July 3, 2012. Accessed June 13, 2016. ^ Koehler, Robert. “Heart of Stone“, Variety (magazine), January 28, 2009. Accessed June 11, 2018. ^ Petrecca, Laura. “Super Bowl 2014: New Jersey out in the cold?”, USA Today, December 9, 2013. Accessed May 10, 2016. ^ Staff. “Prudential Center Opens Doors For First Devils Hockey Game”, Sports Business Daily, October 29, 2007. Accessed June 14, 2016. ^ Mascarenhas, Rohan. “Red Bull Arena opening in Harrison sparks nearby redevelopment”, The Star-Ledger, March 20, 2010. Accessed June 14, 2016. ^ Strunsky, Steve. “Newark airport gets upgrades for Super Bowl XLVIII”, The Star-Ledger, October 11, 2013. Accessed June 13, 2016. ^ Staff. “Super Bowl XLVIII To Create Traffic Jam At Newark, Teterboro Airports; Port Authority Is Consulting With Airports In Cities That Hosted Previous Super Bowls”, WCBS-TV, August 24, 2013. Accessed June 13, 2016. ^ Kell, John. “Newark Airport Gets Ready for 2014 Super Bowl”, The Wall Street Journal, March 29, 2011. Accessed June 13, 2016. ^ Lee, Eunice. “UFC’s Super Bowl weekend event moving to New Jersey in 2014”, The Star-Ledger, July 6, 2013. Accessed April 7, 2015. ^ a b Lee, Eunice. “See Cory Booker’s resignation letter as he bids farewell to Newark City Hall, goes to Washington”, The Star-Ledger, October 30, 2013. Accessed June 13, 2016. ^ Sherman, Ted. “Luis Quintana sworn in as Newark’s first Latino mayor, filling unexpired term of Cory Booker”, The Star-Ledger, November 4, 2013. Accessed November 13, 2015. ^ via Associated Press. “With Booker leaving, who will run Newark? ; Council President Luis Quintana expected to act as interim mayor; Booker to be sworn in as U.S. senator Thursday” Archived March 29, 2016, at the Wayback Machine FiOS1, October 30, 2013. Accessed June 13, 2016. ^ Giambusso, David. “Quintana looks like a lock to become interim mayor of Newark”, The Star-Ledger, October 25, 2013. Accessed June 13, 2016. ^ Dawsey, Josh. “Ras Baraka Is Elected Mayor of Newark”, The Wall Street Journal, May 13, 2014. Accessed June 12, 2015. ^ Nix, Naomi. “Ras Baraka sworn in today as Newark’s 40th mayor”, The Star-Ledger, July 1, 2014. Accessed June 12, 2015. ^ 2017 New Jersey Citizen’s Guide to Government Archived April 7, 2017, at the Wayback Machine p. 61, New Jersey League of Women Voters. Accessed May 30, 2017. ^ a b 2011 New Jersey Citizen’s Guide to Government Archived June 4, 2013, at the Wayback Machine, p. 62, New Jersey League of Women Voters. Accessed May 22, 2015. ^ Armando B. Fontura, Essex County Sheriff’s Office. Accessed June 10, 2018. ^ “Presidential General Election Results – November 6, 2012 – Essex County” (PDF). New Jersey Department of Elections. March 15, 2013. Retrieved December 24, 2014. ^ “Number of Registered Voters and Ballots Cast – November 6, 2012 – General Election Results – Essex County” (PDF). New Jersey Department of Elections. March 15, 2013. Retrieved December 24, 2014. ^ Petenko, Erin (November 11, 2016). “See How Your Town Voted in the 2016 Presidential Election”. www.nj.com. Advance Media. ^ “Governor – Essex County” (PDF). New Jersey Department of Elections. January 29, 2014. Retrieved December 24, 2014. ^ “Number of Registered Voters and Ballots Cast – November 5, 2013 – General Election Results – Essex County” (PDF). New Jersey Department of Elections. January 29, 2014. Retrieved December 24, 2014. ^ Romano, Andrew. “The Swamps of Jersey – The Daily Beast”, Newsweek, March 10, 2010. Accessed April 7, 2015. ^ Staff. “2010 Top High Schools”, New Jersey Monthly, August 16, 2010. Accessed February 14, 2012. ^ New Jersey’s Long-Range Transportation Plan: Urban Supplement Report, City of Newark, New Jersey Department of Transportation, September 2008. Accessed June 13, 2016. ^ Solarino, Audrey. “The history of the Morris Canal”, Suburban Trends, May 20, 2010. Accessed June 28, 2012. ^ “Car Ownership in U.S. Cities Data and Map”. Governing. Retrieved May 20, 2018. ^ “Means of Transportation to Work by Age”. Census Reporter. Retrieved May 20, 2018. ^ “Public Announcement: Closure of Mount Carmel Guild Behavior Health Hospital”, Catholic Charities of the Archdiocese of Newark, January 31, 2010. Accessed June 21, 2016. ^ Queally, James. “State Troopers deployed to battle rising Newark crime as part of new initiative”, The Star-Ledger, April 16, 2014. Accessed April 7, 2015. ^ Fried, Carla. “America’s safest city: Amherst, N.Y.; the most dangerous: Newark, N.J”, Money, January 1, 1997, Vol. 25, Issue 13, p. 22. Accessed June 21, 2016. ^ “Crime in the United States by Metropolitan Statistical Area, 2010” in Crime 2010, Federal Bureau of Investigation. Accessed July 9, 2015. ^ “Most Dangerous U.S. Cities: 6 – Newark, N.J.”, CNNMoney, January 23, 2013. Accessed July 9, 2015. ^ Queally, James; and Gaimbusso, David. “Ten days, 10 dead: Shooting deaths plague Newark”, The Star-Ledger, September 5, 2013. Accessed July 9, 2015. ^ “Position Paper on Sister State and Sister City Relations Between Australia and China”, Australia-China Chamber of Commerce and Industry of New South Wales, dated November 14, 2001. Accessed August 30, 2015. City of Newark, New Jersey (2005). Newark’s land use plan including historical data (PDF). Newark, New Jersey. Archived from the original (PDF) on September 28, 2011. Galishoff, Stuart (1988). Newark: The Nation’s Unhealthiest City, 1832–1895. New Brunswick, New Jersey: Rutgers University Press.